Thinking Out of the Mailbox: A New Model for Health Care Delivery? 9 Comments on Thinking Out of the Mailbox: A New Model for Health Care Delivery? When it comes to solving health care delivery problems, who would think of the postal service as a potential source of solutions? Yet, a pilot program in Jersey, an island between France and England, has shown that this entrenched institution offered a creative way to provide care to a group of people who are among the most difficult to reach – the frail elderly. Although the pilot didn’t seek to provide a substitute for health and social care professionals, this group did exhibit some territorial defensiveness, with little active participation by incumbent providers. From 2010 to 2040, the number of islanders over 65 in Jersey is predicted to double. However, Jersey’s health system suffers from outdated models of health care delivery. Meanwhile, the postal system, a government-owned organization with 400 employees, has been exploring alternatives to diversify its business due to the global decline in people sending paper-based mail. 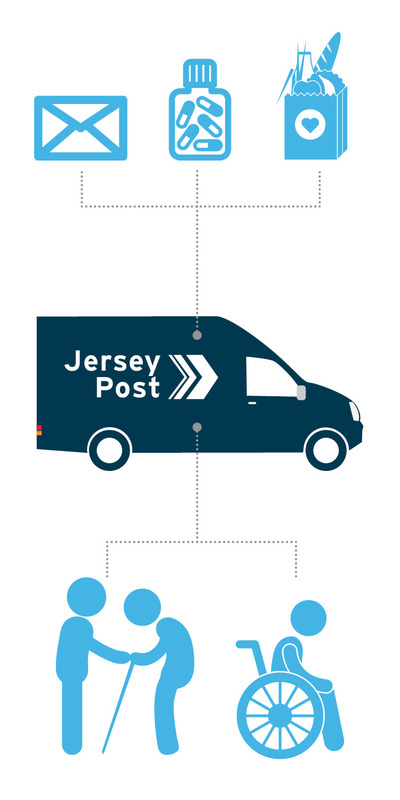 When the Jersey Post ran a competition asking employees what other services they could provide, the winning proposal suggested expanding the role of postal workers to regularly check on isolated and frail elderly people and provide such support as organizing shopping delivery and dropping off medications. In November 2013, Jersey Post funded a pilot program named “Call & Check” with 25 clients initially enrolled. Clients selected the days on which they would receive a visit from their postal worker. The workers made about two visits per week, which ended up lasting less than five minutes, at a cost of $6.33. Postal worker training included a basic overview of how the service operates and a basic list of “things to look out for.” To ensure safety, the postal workers did not cross the threshold of people’s homes, and the service did not go beyond checking, reminders, and making referrals; no formal “care” was provided. Where indicated, the scheme included picking up prescriptions and dropping off repeat medications. An informal qualitative evaluation revealed that all participating clients received significant benefit and support from the scheme. In addition, those delivering the service stated that it gave them added job satisfaction. However, Call & Check did face some challenges. Although the pilot didn’t seek to provide a substitute for health and social care professionals, this group did exhibit some territorial defensiveness, with little active participation by incumbent providers. The main prospective challenge now lies in liberating calcified funding streams to expand the scheme. This model would benefit elderly people and their caregivers, as well as provide an alternative sustainable revenue stream for the US Postal Service. Consequently, there are plans to develop a cloud-based technology platform that accesses clients’ medical records, enabling postal workers to check upcoming health care appointments. Could it work here? Like the UK, the US health system is struggling to meet the health and social care needs of the growing proportion of citizens over 65 – and the US Postal Service ended its second quarter in 2014 with a net loss of $1.9 billion. Lawmakers are reluctant to see postal services reduced, and plans for postal reforms have stalled. The place to start may be with a countywide approach that pilots a cross-sector innovation between the health care industry and the postal service, with funding from the Centers for Medicare and Medicaid Services, philanthropy, and the US Postal Service. This model would benefit elderly people and their caregivers, as well as provide an alternative sustainable revenue stream for the US Postal Service. While no single innovation will address all the needs of older adults, the Jersey Post reminds policymakers to think out of the mailbox when it comes to potential solutions to improving the delivery of health care. Natural supports are often overlooked (or underestimated) and we miss opportunities to engage people in new and creative ways. This pilot illustrates the idea that sometimes the best solution is right in front of you. I like this program for smaller communities, but there are HIPPA concerns and concerns that postal workers are not skilled in observing for other areas of need such as mental health, elderly with dementia onset etc that skilled social workers and paraprofessional social service workers are trained for. Perhaps the postal service could perform the prescription need part of a program and fulfill some social contact with the elderly and the pilot may trigger a program for home visits that can improve in some ways. I am not for postal workers looking at the medical records of the elderly as I view it as a violation of their privacy; mainly for the fact the postal workers are not authentic healthcare providers with the individuals. You are quite right the postal worker is not skilled/trained to deal with mental health issues and in the Call&Check service that is not their role. As the last service provider which has the infrastructure to visit homes every day (if required) the postman/woman’s role is to be the eyes and ears supporting the elders/ needy within our community. To those people who have signed up for the service they can pass reminders such as “Have you take your medication today” and also pass any concerns or requests to the professional and voluntary sector for them to follow up. The postman/woman would never and should never have access to patient’s medical records. They are a piece in the community care jigsaw when the future of health & social care is to support people in their own homes for as long as possible in a cost effective way. It’s a very smart program that is low cost, efficient, and personal. Similar programs have recently been implemented in other countries including Belgium and Japan. The downside it that the U.S will probably just drag its feet. Winston Churchill allegedly said at one time, “Americans can always be counted on to do the right thing…after they have exhausted all other possibilities.” Hopefully Beacon Health Options can take a lead on this issue and make some inroads. Very clever and innovative especially because there is infrastructure already in place. Issues around privacy and security would still need to be addressed in very material ways. For instance, while in the pilot postal workers could not cross the home’s threshold, on a larger scale, the recipient would need to be sure that the person knocking on their door was really a postal worker, and no one someone dressed as one. Ensuring that postal workers only have access to the right information would also be an issue. All that said, in the year 2015, there should be ways to realistically overcome those issues and ideas for a pilot in the United States would be worth pursuing. A brilliant moment indeed. Such a great synergy! Such a brilliant idea. Also interesting that the idea came from postal workers rather than from the health care system. Can you tell me how the service is currently funded? Are Jersey residents charged the $6.33 per visit or is the postal service funding this for now? 2015 Copyright Beacon Health Options. All rights reserved.